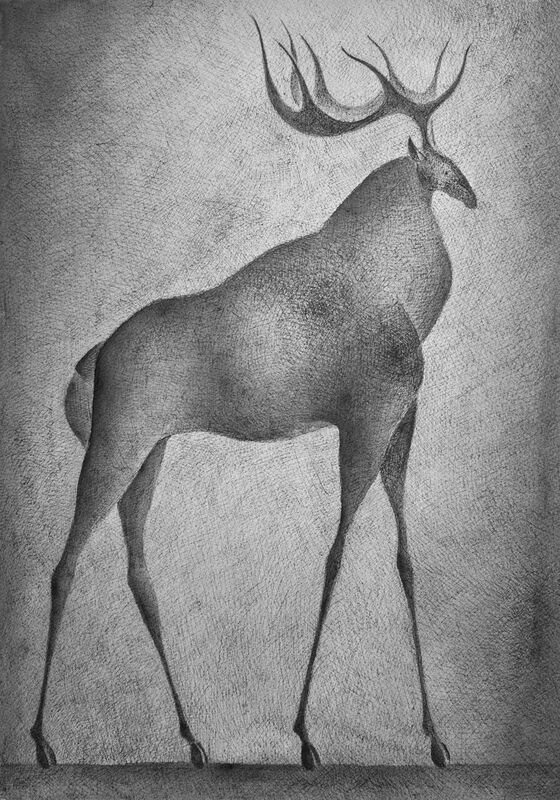 Deer IV (cerf IV) is a drawing by contemporary French artist Pierre Yermia celebrating the animal kingdom. Known principally for his work in sculpture, from his beginnings Pierre Yermia has also done drawings. The latter occupying an important place in his preparatory work and at the same time constituting an artistic output of its own.